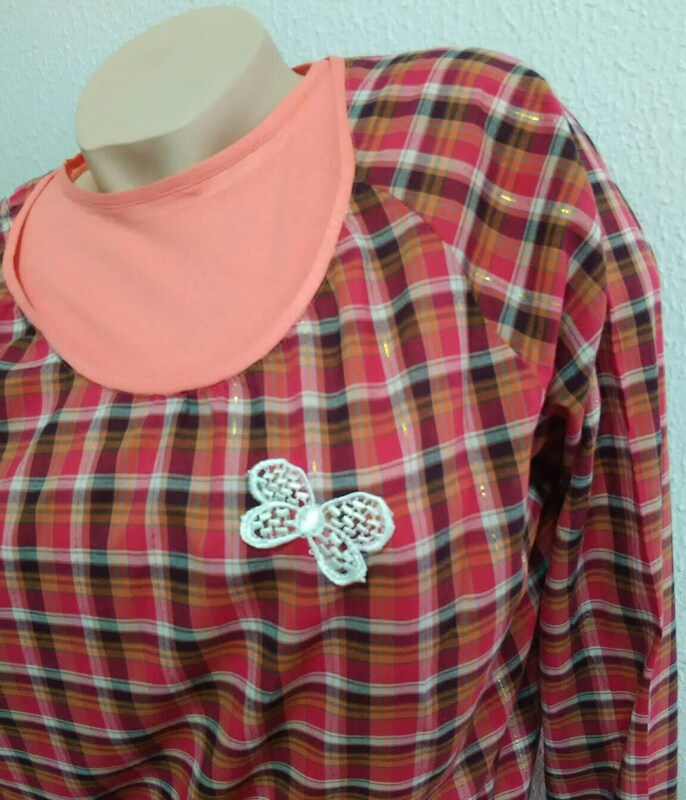 Set composed of basic blouse and plaid blouse. 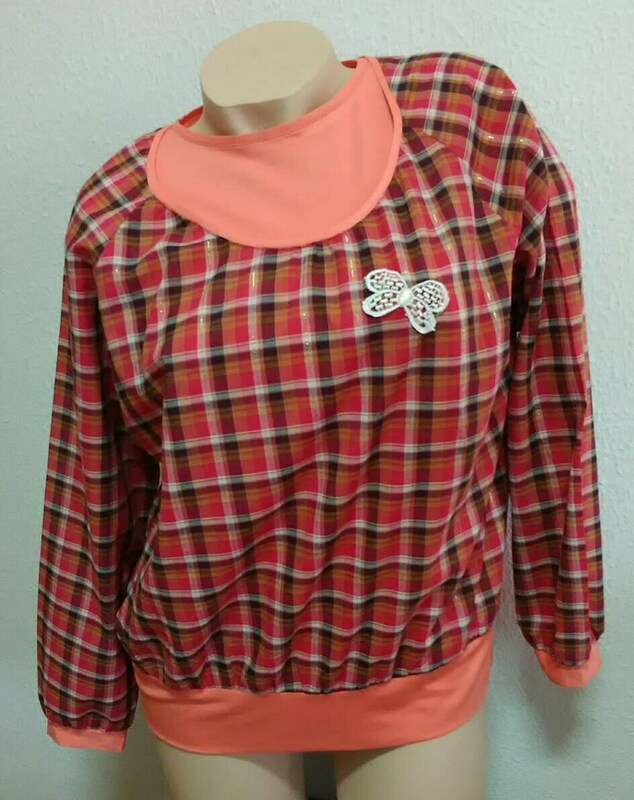 You can use the parts together or separate. 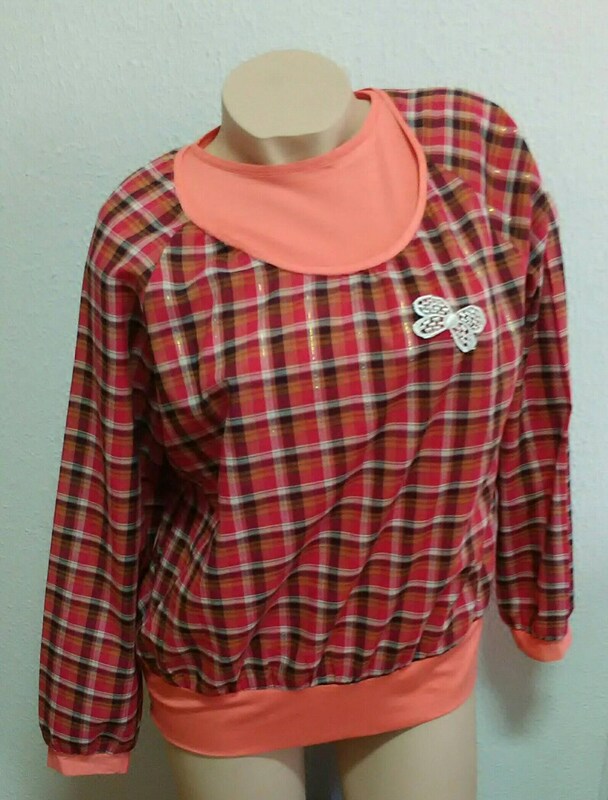 Basic blouse in Coral color size M, fabric strech-lycra cotton. 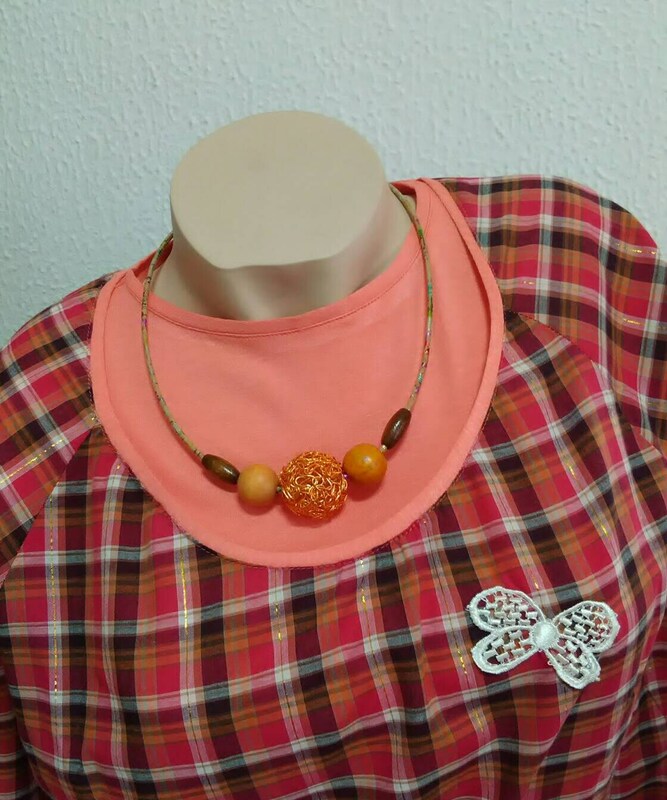 Plaid blouse, with coral tones, brown and gold, furrowed model, with handles and waistband in coral mesh equal to basic, with application of lace.